HOUSTON (KTRK) -- Happy birthday to a set of amazing twins. Knatalye Hope and Adeline Faith Mata, formerly conjoined twins separated in a 26-hour surgery at Texas Children's Hospital in February, celebrated their first birthday on Saturday. They celebrated at TCH with a 'Frozen'-themed party for friends and family. 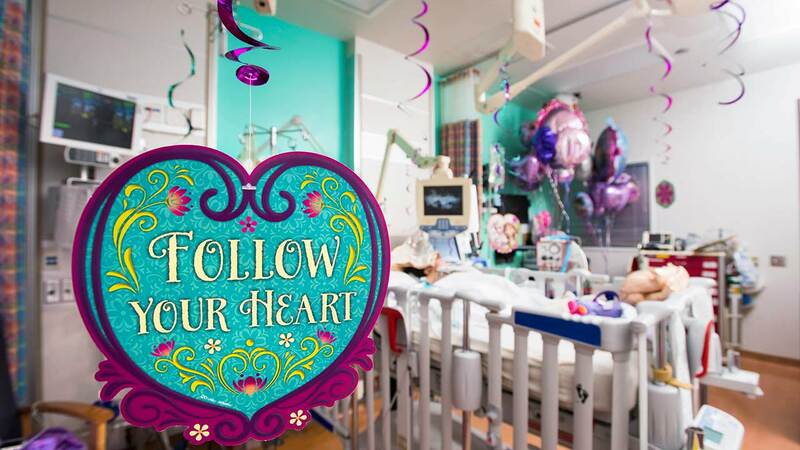 The party comes just a few days after Adeline underwent surgery to place a tracheostomy to aid in breathing and lung development. During the surgery, doctors also removed the metal rods place din her pelvis during the separation surgery. They also removed shunts in her bladder and placed a gastrostomy button, which helps deliver food until she can chew or swallow. On Monday, Knatalye had surgery to remove the rods in her pelvis and also to add a gastrostomy button. She is currently recovering in the PICU. According to Texas Children's Hospital, both girls are awake, alert and interactive.